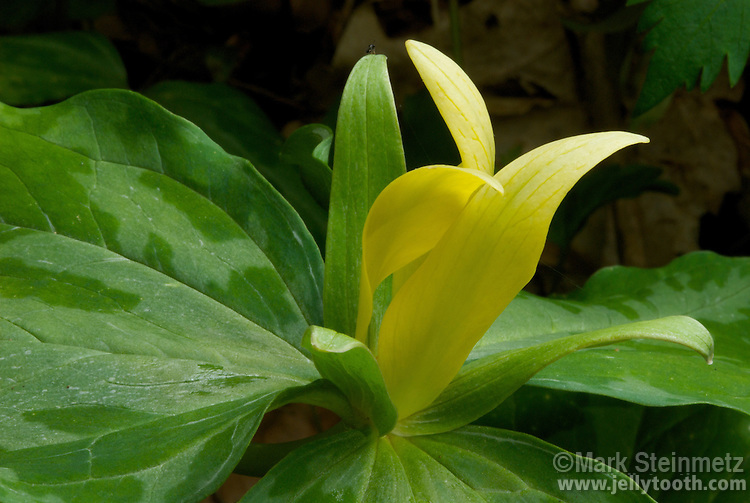 Yellow Trillium (Trillium lucteum). Native to North America, primarily the Southern Appalachian Mountains. This lemon-scented species is specially prolific in the Smoky Mountains. Three petals, three sepals, and three leaves characterize the Trillium genus. Smoky Mountain National Park, TN, USA.